These days various services such as ordering food, booking a cab, shopping online can all be accessed using your mobile. However, installing a separate app for each service is not ideal. AppBrowzer is an app that allows you to have multiple apps in one. Instant apps are gaining prominence and this application lets you access instant apps of various services. 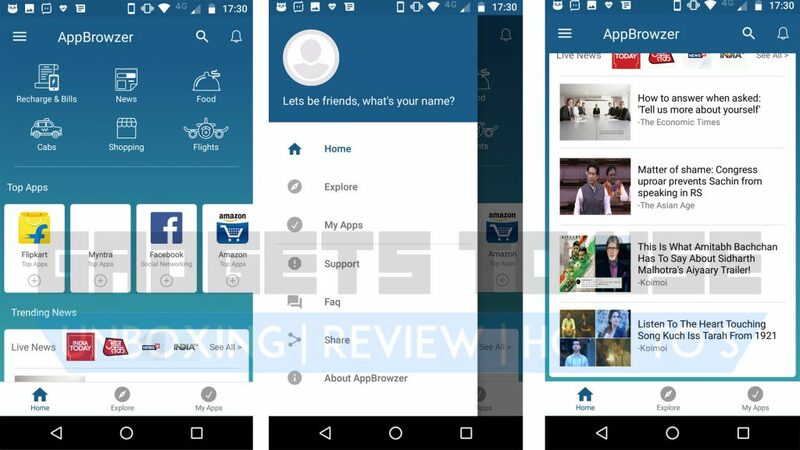 You can use the AppBrowzer app for browsing Facebook to shopping from Amazon or Flipkart. The app even allows you to book flight tickets and order food online. Just 16MB in size, this is a light and fast application. Here is how to make the most out of this app. AppBrowzer app: Why do you need it? There are many instances where we download and keep the apps that we seldom use. 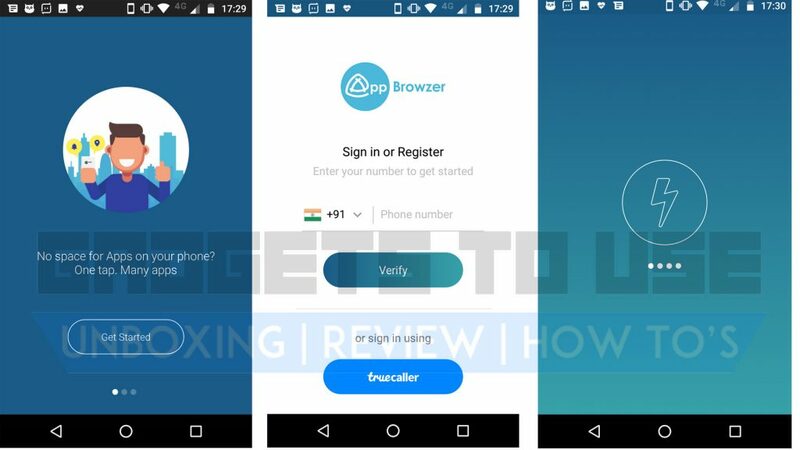 If you have limited space on your smartphone, you can download the AppBrowzer app from the Google Play Store and save precious space on your device. 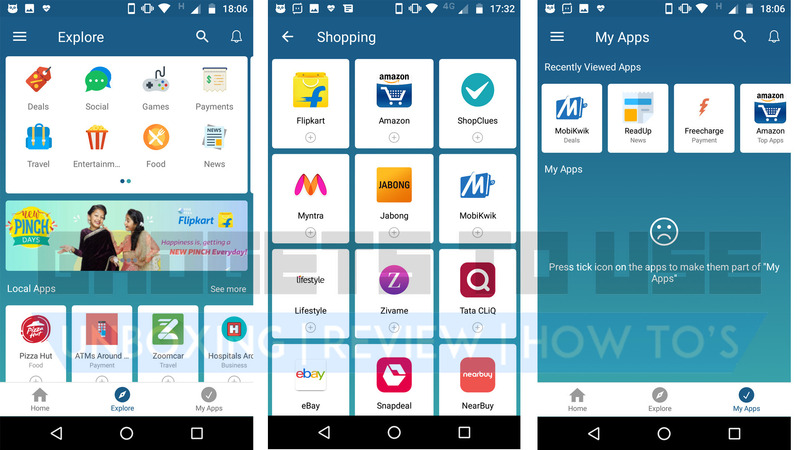 The app launches instant apps of Facebook, Amazon, Flipkart, Zomato, Uber, CNN, MobiKwik, and BookMyShow. This means you get all the essentials in one place without reducing your free storage. You can download the AppBrowzer app from Google Play Store for free. During our use, the app did not show any annoying advertisements, providing a good experience. Once you’ve downloaded the app, open it and follow the on-screen instructions. To set up the application, enter your contact number and verify using the OTP you will receive. You can also login using Truecaller. Currently, the app does not have Google or Facebook as sign-in options. After the verification process, You will get a list of functionalities on the app screen. To personalize it, tap the hamburger menu on the top-left corner of the screen and click on the profile image and fill up the info. On the top, you have recharge and bills section that you can pay via Freecharge. Then, you have the News, Food, Cabs, Shopping, and Flights icons. These icons have various apps integrated that you can easily use. You can go to the Explore tab and tap on the search button at the top. You can search for your desired apps in the search window and launch an instant app without downloading more apps on your device. You also get categories like Social, Entertainment, Food, and more. The last tab in the app is the My Apps tab. Here you can find your most used and saved apps for quick access. When you use an app, you can pin it from the Explore tab to find it in the My Apps segment.